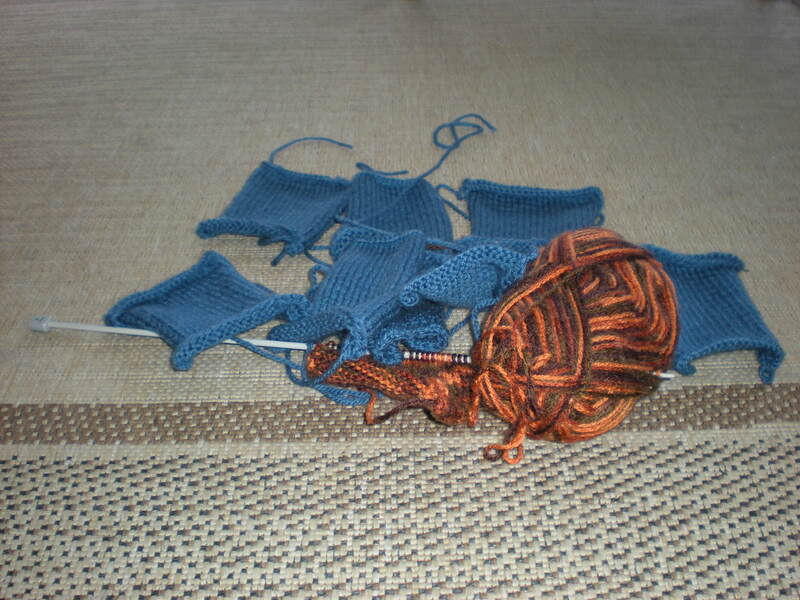 I’ve been always fascinated with knitting. 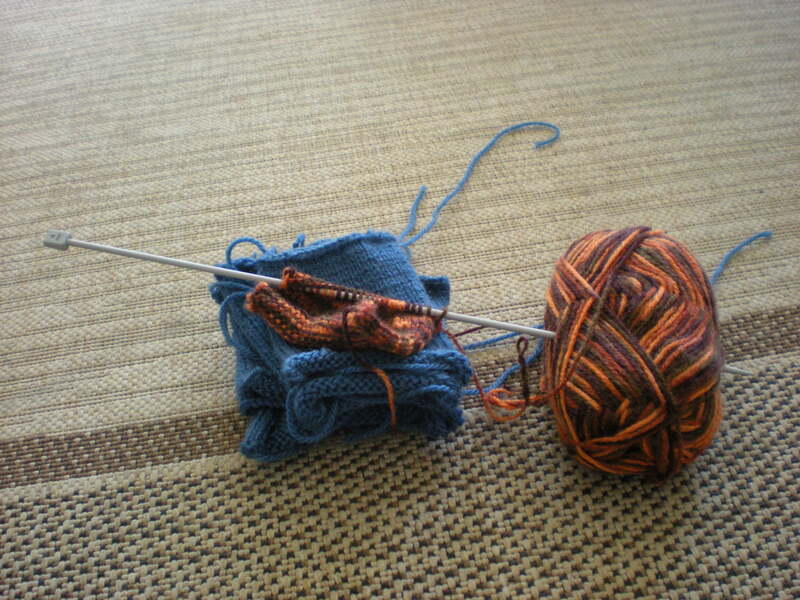 I find it amazing how you can create something out of yarn, just using two (or more) needles. I learned how to knit (and purl) a few years ago. A ex-colleague of mine taught me, while we were working together in the same office. She actually taught me at the office. I know, I know! We were supposed to be working, but on our defense I can say that we were not knitting all the time, just for a few moments on lunch break or coffee breaks…and there was not much work to do anyway! My knitting is still pretty basic. So far I’ve made some scarves and mittens, a poncho, a shawl, and a sock. Yes, a sock. Just one. Useful, I know! I’ve been very inconsistent in my knitting activity. There are periods when I knit everyday, or almost everyday, but after finishing a project it takes me forever to start another one. If I finish a project at all…yes, because a few months ago I bought some yarns on offer, thinking of making a blanket out of them. My idea was to make many different patches and then saw them all together in a nice pattern. 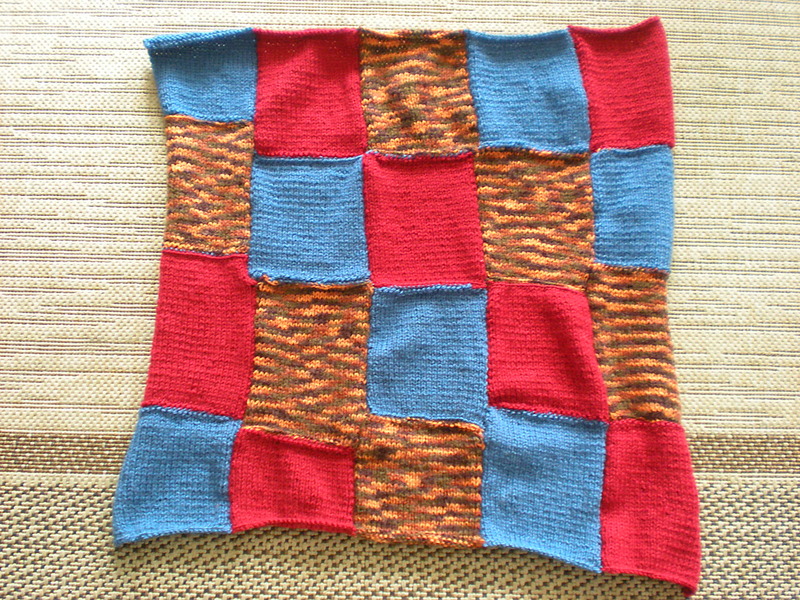 Some kind of patchwork thing. I started with all the enthusiasm, but after making five or six rectangles I abandoned my project. Just out of laziness, I guess. So I’m posting a couple of pictures here, as a reminder to keep knitting. I hope to post a picture of the finished project. Sooner or later!